With – Cristiano Pezzati, Fada Full, Valeria Arcoleo. Founded in 2010 in Sicily and now with branches in Palermo, London, Madrid, Milan, New Delhi, Rome, Seoul, Singapore. 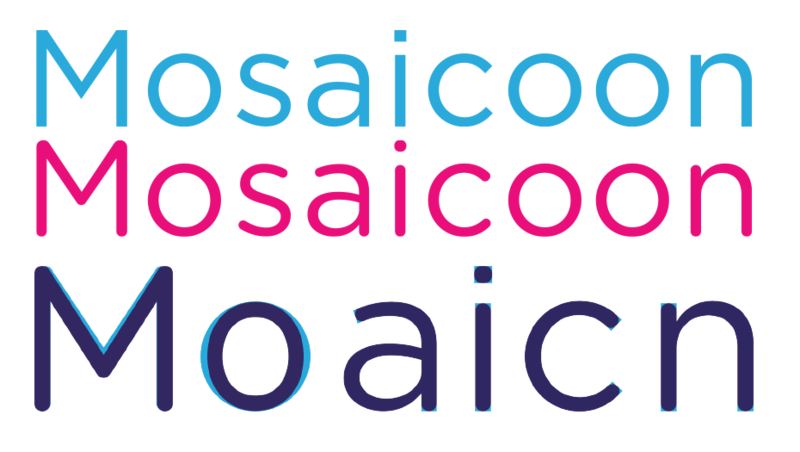 Mosaicoon has been internationally recognised with many awards for its innovation and creativity. 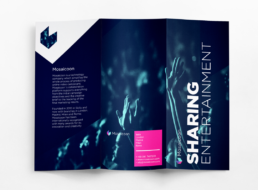 The Strategy denotes a particular model of collaboration between creative and brand, which was created by Mosaicoon as part of the high content video adv purpose. 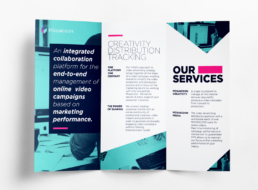 Mosaicoon created a “Marketplace” with the goal of using technology to facilitate access to creativity worldwide, turning in video advertising content qualitatively comparable to the level of entertainment. The company gets to this demand after five years that has established itself as the leader in online video and where its staff has grown from three to 80 employees. 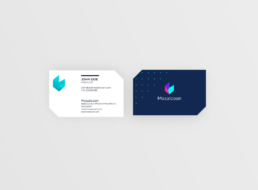 In 2015 Mosaicoon needs to find a synthesis that enshrines its unique business model and positioning, which will prepare the company to an internationalization plan and that at the same time aligns its employees on a growth stage company from startups to scaleup. The starting point for the Mosaicoon’s logo re-desing was the splinter. 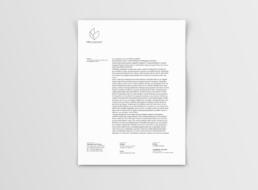 This proposal aimed to maintain a relationship with the previous logo, balancing it and strengthening the sign in order to make it visually memorable. The entire logo has been constructed on the basis of Gotham font. 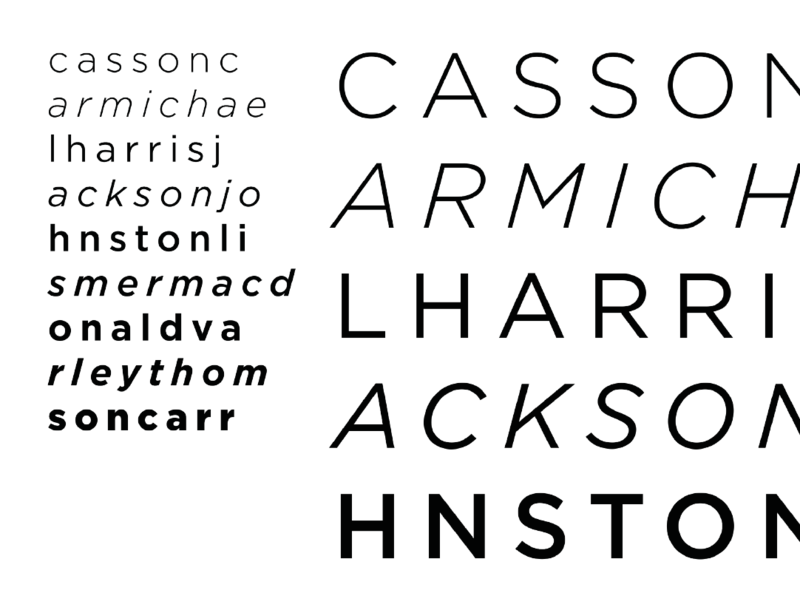 This font was born to a digital use has changed, transforming it into rounded. The O have been modified to decrease the length and to increase readability. We chose Gotham, a sans serif, as it has a strong typographic family, highly readable and equilibrated both on print and mobile. 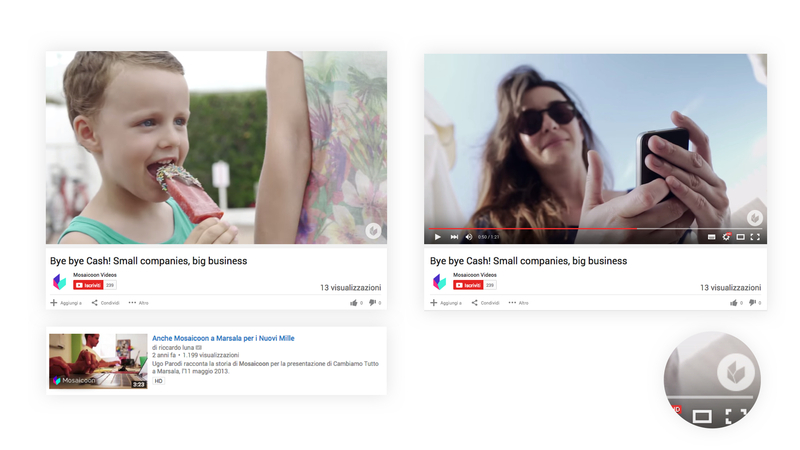 The colors used suggest strong emotions, as only online video can communicate, refer to a technological imagery in which freshness and speed are the key words, and at the same time are evocative of the breathtaking panorama in which the company is preparing to open its new headquarters, near the sea. A reality like this strongly linked to the video creative should have a code linked to the processing of the images. The two-color becomes a distinctive element of the corporate identity. 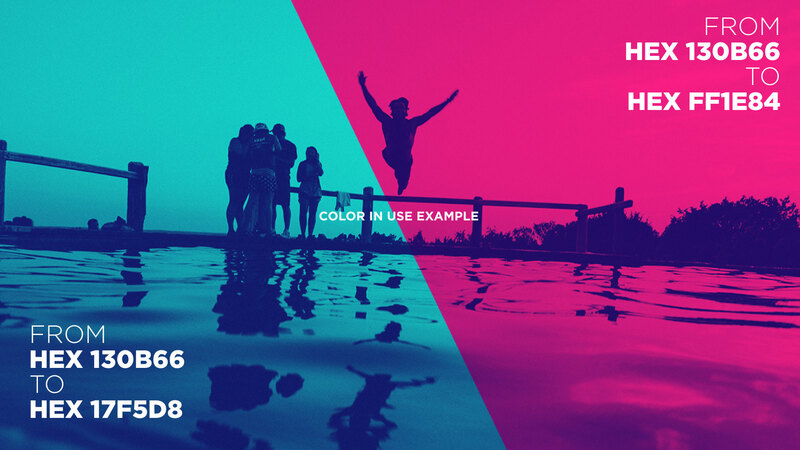 When images are not the center of the timely communication, they are treated to make them consistent visual communication, constituting when you need an item that has a choral function in graphics. 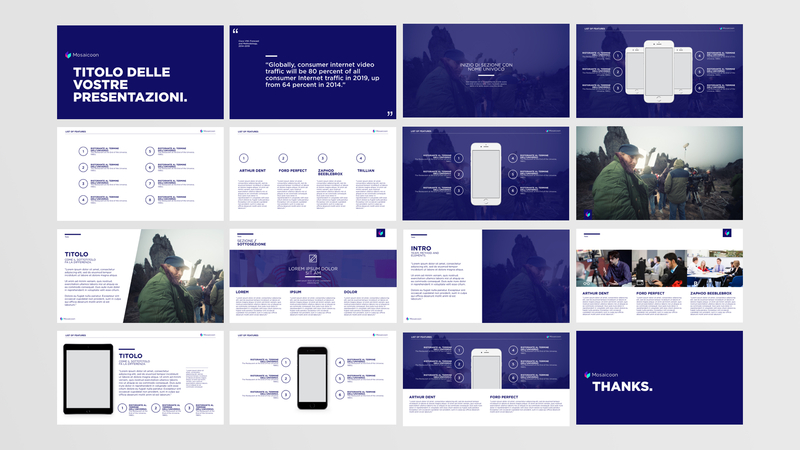 The need to tell this innovative concept, has led to a search that starting from the logo has been extended to the entire corporate identity, permeating all the communication elements, including: brochures, letterhead, business card, keynote Layout, for presentations business, and the headquarters itself.